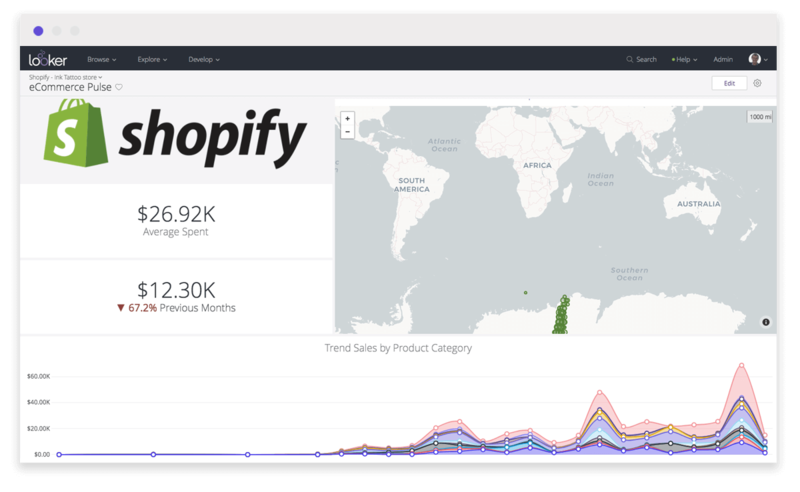 Shopify is a comprehensive e-commerce platform that allows its customers to sell, present content and build their brands. 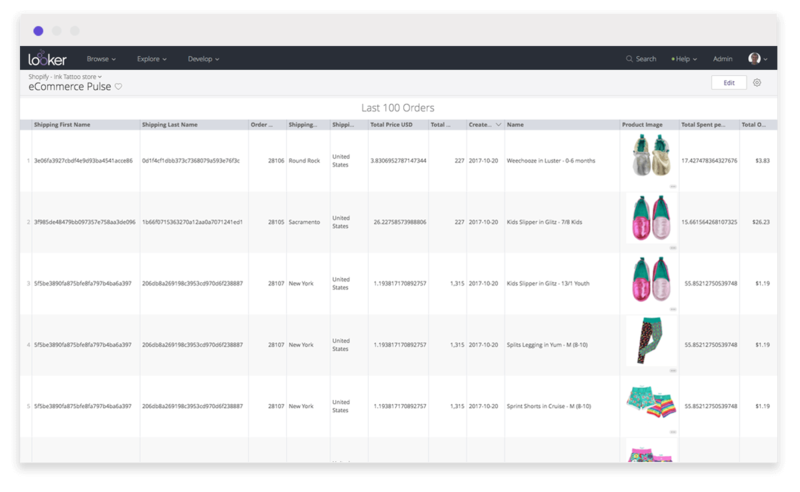 This Block provides a real-time, interactive analytics suite for all your Shopify data. Looker’s Block for Shopify by Stitch Block helps you focus on the insights that matter and empowers you to take immediate action. Looker’s Explore functionality allows you to modify, share and create new dashboards / alerts / actions. 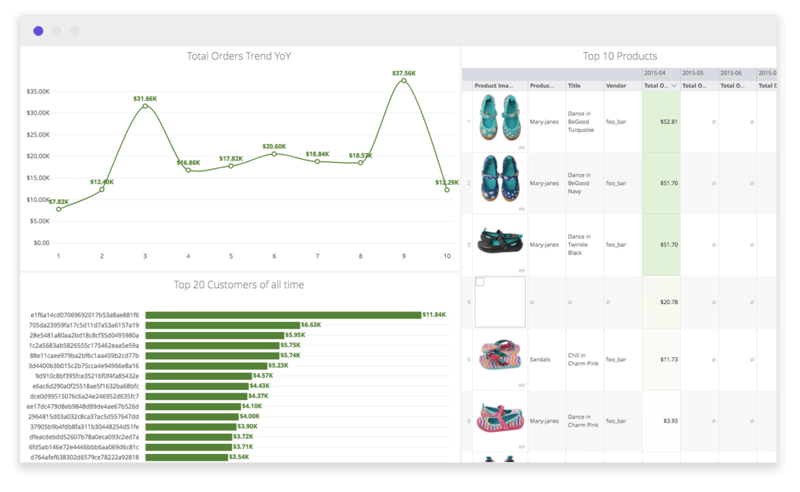 Watch Looker in action and start harvesting insights from your Shopify data today.